It's the middle of the semester, and so it's that time where I'm beginning to get very tired and exhausted from everything that is happening at once. 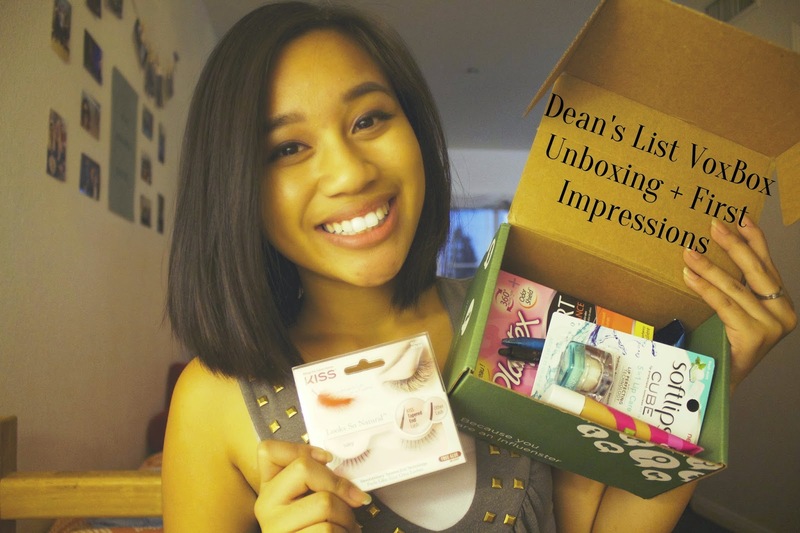 Thankfully, Influenster sent me the Dean's List VoxBox just in time for a little pick-me-up during this time of year. I'm excited to try everything out! My video unboxing and reactions are linked below, but if you'd prefer to read about it or get a more in-depth review on some of the products, keep reading! This voxbox was pretty solid, if I do say so myself. I have a snack, a few beauty items, a couple new pens (my obsession! ), and some lady products. I'd say that this box rounds out pretty perfectly what is necessary for this time of year. It's a combination of treats and necessities that I love. Let's get onto the box! 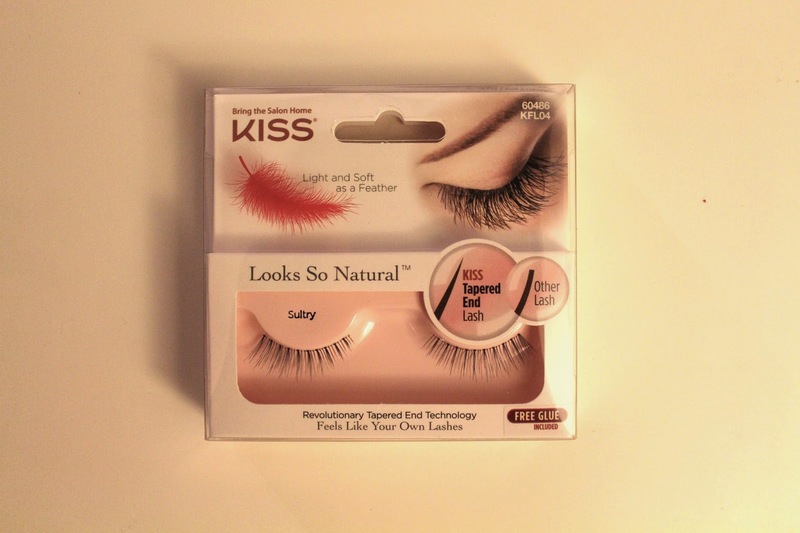 I haven't tried these Kiss lashes yet, but they look and are intended to look natural, which is exactly the type of look I am going for most of the time. Even if my eye makeup may not always look natural, I like things like my eyebrows, foundation, and my eyelashes to look as natural as possible. Pens! I am obsessed with them. I actually had a really hard time trying to figure out how to get them to retract (watch the video to see me struggle). It's probably a combination of me not reading the directions correctly and the fact that if someone can't figure out right off the bat how it works then it may not be a good thing. It's also an inky pen, which I am not a super big fan of to be honest. BUT, I am a fan of erasers! Especially when I prefer pens over pencils and I make a lot of mistakes too. Good job, Pilot! These FriXion pens definitely do their job. Softlips is definitely one of my favorite chapstick brands out there. I think it's cool that they came out with a cube version to combat the very now-common sphere chapsticks. This is a minty flavor, and I actually opened the chapstick not long after taking this photo, and I love the fresh feeling of having mint on my lips! No Text Red by Sinful Colors is not only the name of this nail polish color, but it is also a movement that has started to encourage young adults not to text while driving. It's a red with an orange-y undertone. It is definitely different from every other red that I have, so it's good because I don't already own the color. 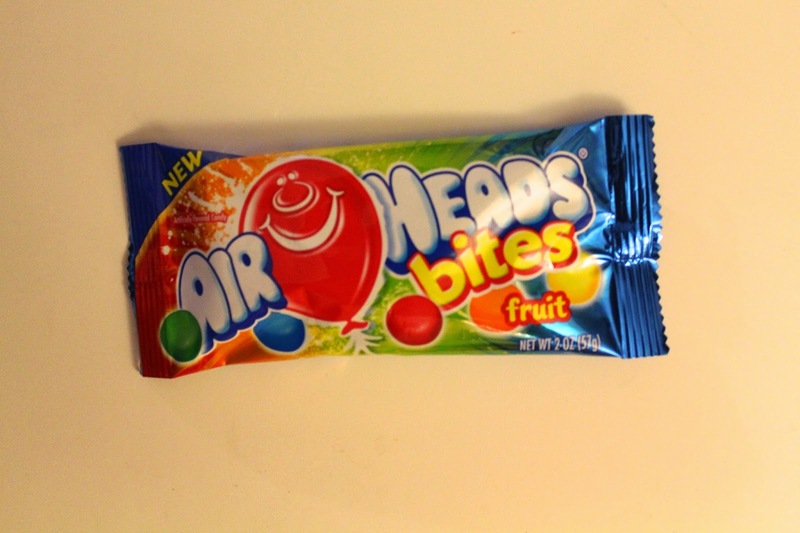 I actually received these Airheads Bites earlier this year when I worked with them on a campaign last semester, so it was nice to receive something familiar. Not to mention, I also love snacks for class! Out of all the products (other than the falsies), I was most excited to try out Covergirl's newest foundation. As I said in my video above, my current foundation is running low so I've been on the lookout for a foundation for myself. 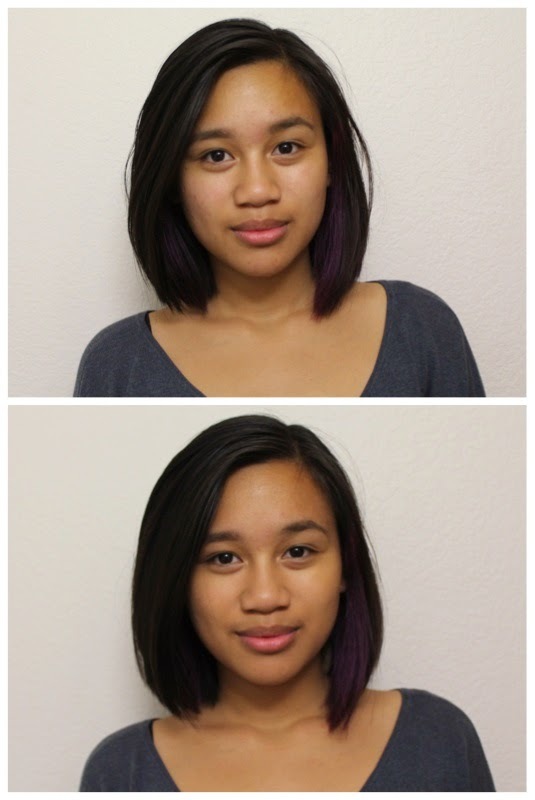 As you can see in the photos above, Influenster did a good job at matching me with the correct shade. The foundation evened out my skin pretty well, and it is most noticeable when you compare my cheeks with the before and after photo. The site says that this is medium coverage but I would probably say it's about light-medium coverage. My skin color on my face is very discolored and I have a ton of acne scars so I am very strict on judging the coverage of foundations. But, I do like this one, and it will probably become one that I use on a day to day basis at school. It's not as heavy as my current foundation so it will be good for that! The last product is the Playtex Sport Fresh Balance tampons! I haven't used these yet because it's not my time of the month, but I have used Playtex products before, so I can already expect good things for this. Like I said in my video, this is definitely the most practical of everything in the box. I love it! I really enjoyed this voxbox. By now, I have used most of these products and I am really enjoying all of them! If you are interested in receiving products like this to review and post on your social media (you don't even have to be a blogger!) leave your email below or email me at kriselle@livinandlovin.com so I can send you an invite to join! What are your favorite products in this voxbox? Disclosure: All products were provided by Influenster for me to review. All opinions are my own. I have been getting Playtex Sport in all of my boxes since before April!! Oh my gosh haha you are hilarious, Raewyn! And yay we're twinsies! I've never heard of the InkJoy300 however, I should definitely check that out!